Limousin, a relatively undiscovered region in central France has some great possibilities to offer the discerning tourist. Whether you are into nature, culture, history, art of fine living, this is the place for you. And while you take in the beauty and tradition that the place has to offer, complement your stay with one of the beautiful hotels that the region has on offer. Whether you prefer to stay in nature, in a town or village or perhaps in an old castle, there is something in Limousin to suit all tastes and budgets. 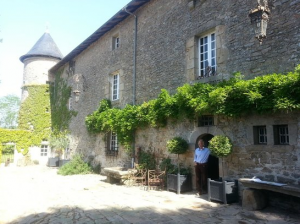 In Varetz, the Chateau de Castel Novel is a great choice with 37 rooms in a fantastic location. 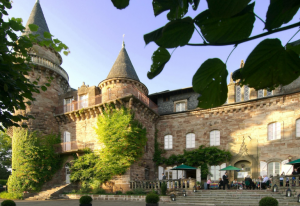 It is a fully restored 18th century castle, built on the fortress of an even older – 15th century fortress. This is a family run luxurious option, with fine cuisine – Michelin starred gourmet options – in a rural setting. It is the perfect option if you want to combine luxury in your vacation with some of the hiking options and outdoor pursuits that the region has to offer. This excessive luxury doesn’t even need to break the bank as it is possible to reserve rooms here from as low a price as 94 euros in low season! Another exciting option between a lake and a forest is the outstanding Chateau de la Cazine in Noth. This is a beautiful and fully restored 18th century chateau that has been recently renovated in keeping with the traditional historic look. It is set in magnificent grounds and offers range of exciting outdoor adventure activities – and a great Michelin restaurant for gourmet food in the evenings. The Chateau de Roussac is a small beautiful old castle in the village of Roussac with elegant gardens and a fully restored and traditional interior. With only 3 rooms, there are huge grounds with a courtyard café, a small chapel and wine cellar. In an old mansion the chateaux de Bois Noir is a further luxurious option with Empire style bedrooms with fabulous views of the rolling gardens and parklands. There are fireplaces and elegant furniture and well-chosen fittings. Enjoy great food and fine wines in the gourmet restaurant. For those seeking something a little bit different, there are some interesting artistic hotels in the area. 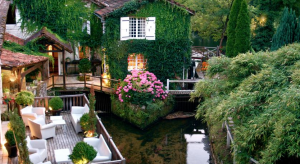 Try out Le Moulin de Roc with an interesting design with a river running through it. With its terraces, outdoor pool and variety of activities like cookery classes and horseback riding; this will offer something really special on a vacation. For those enjoying a spa, there are some options for you. Hotel Carolina suites and spa offers a more modern experience near the Mont Dore thermal baths. Or Hotel Joyet de Maubec boasts rave reviews and a fabulous restaurant. At the more budget end of the scale, there are a range of ibis hotels throughout the area along with a plethora of B and B’s, many situated in 18th and 19th century houses. Whatever your taste and whatever your budget, there are plentiful options throughout the region. Whether you’re after rural calm, town action or a truly memorable historic experience, Limousin hotels have all kinds of possibilities to suit you. The problem will be leaving!